Expats looking for a truly exotic place close to home should visit Costa Rica. Costa Rica borders Panama to the South and Nicaragua to the North. It also offers both the Caribbean Sea and the Pacific Ocean. Costa Rica is much more economically and politically stable than many of its neighbors to the north. Nature lovers will be happy to know that Costa Rica provides plenty of eco-tourism. Costa Rica has a tropical climate and is very close to the equator. The average temperature is in the high 70’s, with hotter temperatures lasting from November to January and a cooler period from May to June. 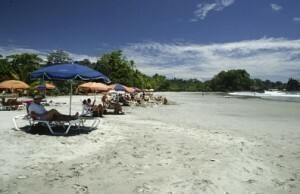 Costa Rica has two seasons: the rainy season from May to December and the dry season from January to April. Costa Rica also has some of the highest peaks in all of Central America and they influence weather patterns. The government of the Republic of Costa Rica is a constitutional democracy and it has been quite resilient over the decades. Though instability is apparent throughout Central America, Costa Rica has experienced quite a bit of stability. U.S tourists and expats may visit Costa Rica for up to 90 days with a valid passport. For more information about specific immigration requirements, please contact the Costa Rican Embassy. Costa Rica’s taxes are moderate. The top income tax rate for individuals is 25% and for corporations 30%. Other taxes include a general sales tax and a tax that is levied on interest. Medical care is quite adequate within the capital city of San Jose. However, it is more difficult to receive proper medical attention in rural areas. It is probably best for individuals who become seriously ill or injured to be evacuated to another country. Most doctors and clinics require a cash or credit card payment at the time of treatment. Short term visitors should consider purchasing travelers’ insurance that includes medical evacuation. Before buying real estate, it is important for the buyer to consult a local attorney to ensure that he/she is eligible to purchase property, and that all taxes, fees, etc. are taken care of properly. Although corruption is for the most part minimal, the courts can take quite a long time to settle property disputes. Real estate prices can range from exorbitant (for top areas and beachfront properties) to extremely cheap in the rural areas. Rental prices range from moderate to low, with some of the best areas priced at the same high rates as rentals in the U.S. Visit 506Properties for more information on Costa Rica real estate. Costa Rica has a large selection of both imported and locally produced goods. It has a relatively high standard of living because of its good economy. However, the disparities between the rich and poor are quite apparent. The Costa Rican currency is called the colon and in recent years, the government has strived to reduce inflation. Today, the colon floats between the US Dollar and Euro in an effort to control inflation. Visitors can find just about any product they desire in San Jose. In addition, San Jose has quite a bit of entertainment such as restaurants, bars or night life. Costa Rica offers nature lovers some of the best eco-tourism in the world. In fact, many visitors are attracted to Costa Rica because of its natural beauty. Sea lovers have two to choose from: the Pacific Ocean and Caribbean Sea. Most American expats consider the cost of living in Costa Rica to be quite reasonable. The per capita income of Costa Ricans is about $13,000 per year. While the dollar has weakened around the world, people who visit Costa Rica will get more for their U.S dollar there than they would in Europe or Asia. High-quality living accommodations are generally expensive, but moderate housing is much more affordable than houses of the same quality in the U.S. Nature seekers can stay in rural areas for next to nothing.